Sierra Sacramento Valley Medical Society Alliance has awarded a $5,000 grant to the Sacramento Life Center to fill 100 baby baskets for low-income new moms in the Sacramento area. Baskets are filled with needed items including formula, diapers, newborn clothes, pacifiers and more, and are given to every Sacramento Life Center patient after her baby is born. Monetary donations and new items for baby baskets are accepted year-round. For more information, visit www.saclife.org. The Sierra Sacramento Valley Medical Society Alliance is a nonprofit dedicated to improving the quality of health in the community through education, funding and volunteer support. 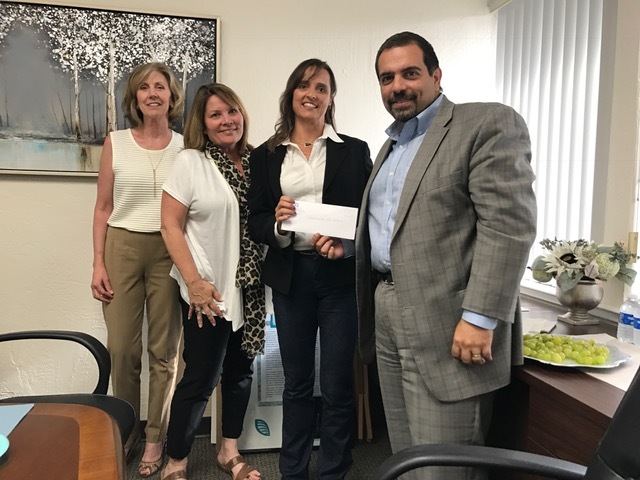 The group has contributed to the well-being of the community for more than 80 years, granting more than half a million dollars to community organizations throughout the Sacramento region. The alliance also contributes thousands of dollars annually to support medical school and nursing scholarships. Alliance membership is composed of physicians, medical students, staff, spouses and domestic partners. For more information or to make a donation, visit www.ssvmsa.org.